My husband and I (along with our 19 year old daughter) live in Birmingham, Alabama. My husband works for an Alcohol Beverage Company and I work with Equestrian show horses. We have kept Romar Place as our second home. We began renting for the first time a few of years ago, since our daughter is now eventing (Dressage). We have been in love with the beach since we were children. After Ivan devestated the Gulf Coast, we decided to participate in the rebuilding of the area. We throughly enjoy the friendly and relaxing atmosphere. We love the fact that Orange Beach is such a family oriented area. Everything is so laid back and casual, plus the locals are so friendly. We were looking for a low density condo. 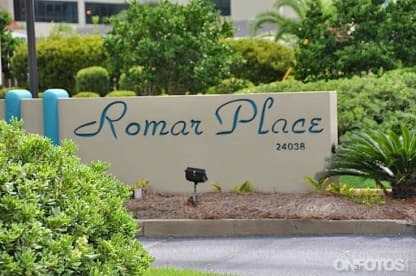 Romar Place fits that description as it has only 66 units in the complex. This means less people in the outdoor and indoor pool and on the private beach. Your personal paradise of Sugar White sand and tranquil serenity await you.